Food on Foot - Johnny H.
“When I first came to Food on Foot, people told me to just keep going. 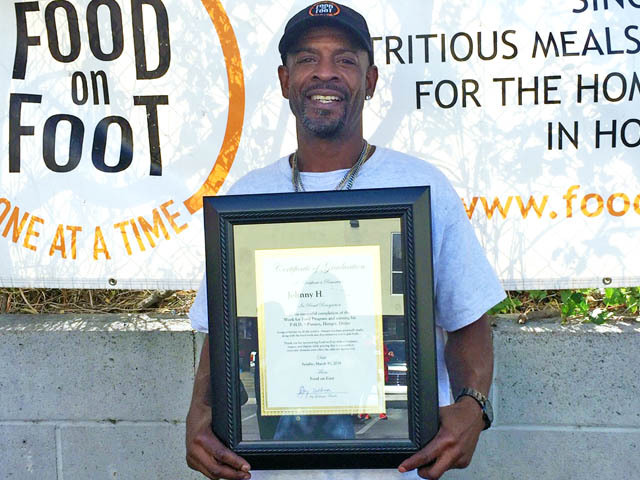 Thank you to everybody here…my support team like you who encouraged me to come to the program every week.” – Johnny H.
Food on Foot is a non-profit organization dedicated to assisting the poor and homeless of Los Angeles through programs that provide nutritious meals, clothing, work opportunities and ultimately the transition to full-time employment and life off the streets. for their generous donation of branding and design services!